Presets for Scanline and MentalRay! Quality Mode is preferable for baking! AO + LightTracer Adds a white Skylight and enables lighttracer. -Toggle off to delete the light! Brand New Vray Switcher! Buttons should be self explanatory! Also new is the object switcher, which mainly speeds up replacing objects in your scene. 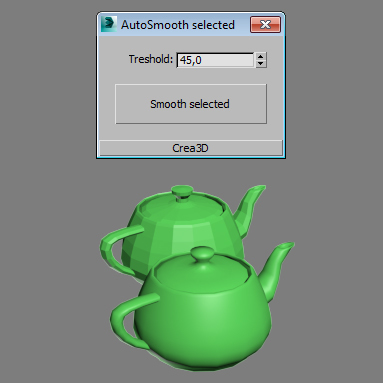 This is a simple script that adds a turbosmooth modifier to all the selected objects with 2 iterations, 3 render iterations, and isoline display. It also uses removeTurbo script to remove all previous turbosmooth modifiers. But it will work fine if you don't have removeTurbo.